In the UK premium branded skincare products is a rapidly expanding market sector. We have been supplying these goods to retailers and wholesalers for over 25 years, and have developed an expert knowledge of the vast range of products and brands available. As part of our service we are happy to pass this knowledge on to the retailer enabling them to maximise revenue from each customer. To achieve this we have collated detailed information on how these products relate to and complement each other, giving the seller a better opportunity to increase each customer's purchase. 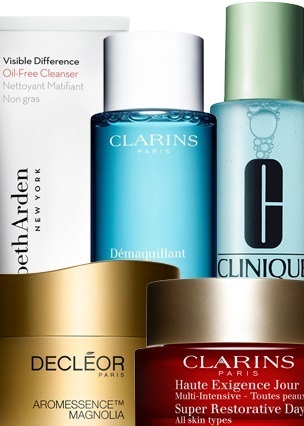 The primary brands that we are offering today are Clarins, Clinique, Decléor and Elizabeth Arden. Please feel free to contact us to discuss your skincare requirements, as well as information on new lines that are added on a frequent basis.